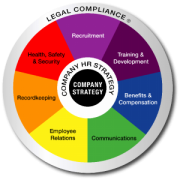 Legal Compliance Archives - strategic HR inc. In June 2018, the EEOC’s Select Task Force on Study of Harassment in the Workplace reconvened after two years of work on the topic. According to Victoria A. Lipnic, Acting Chair for the Task Force, the number of charges of harassment have not significantly increased, which at first glance appeared surprising as we are well into the #MeToo movement. However, upon reflection, it may show that companies and HR professionals have learned to better respond to employee claims and effectively respond to issues at the company level rather than having the issues elevated to the Department of Labor and other regulatory agencies. Whether it is harassment, ethics violations, unprofessional behaviors, or even theft, HR professionals are tasked to swiftly handle complaints and to do so with skill and expertise. As professionals, it is imperative that we keep our investigative skills top of mind and a handle on managing those difficult employee relations matters. Quick is best. A priority for HR professionals is to swiftly investigate employee allegations while being objective, thorough, and confidential. Although proper preparation for the meeting is essential, it is also very important to be prompt and begin the investigation quickly after a complaint is made. A quick response shows concern for the employee and an intent to get to the bottom of the issue. A quick response also allows for improved recall for the complainant and the witnesses as well as the accused. It is harder to say “you can’t remember” what happened to something that happened yesterday versus a week ago. Prepare, prepare, prepare. As was indicated, it is important to balance your quick response to a complaint with proper preparation. Make sure the complaint, received in writing, is carefully read and dissected into the specific allegations and prepare your questions in advance. If you conduct the investigation internally, make sure all individuals are treated similarly and use a consistent process to get to the truth. There is most likely a set of ‘go to’ questions that you will have in your list as well as specific inquiries for the allegation. Interview questions. It is important to craft the questions carefully for an investigation. This is not the time to gather opinions about someone or something but rather get to the facts or the behaviors resulting from those feelings. For example, “He treats me differently than everyone else.” Further probing is necessary to understand what that means. “I heard him tell Jeff he could take the rest of the day off without reporting it and I have to report all of my time off.” Another example would be, “I felt embarrassed when he spoke with me.” Although this is an important feeling, we must have the facts and resulting actions to get to the heart of the situation. It is important to probe further and ask why and what to determine the resulting behavior of the feeling or opinion. What happened, when did it happen, how many times has it happened, and what was the context? In this instance, it would be ideal to have the complainant describe the moment when they felt embarrassed and the results. “We were in a group of 4 employees (Jeff, Susie, Kyra, and Cam). He said, “X”. I was so upset I walked away from the group, went back to my office, and was crying.” These are essential pieces to good investigations. One of the primary goals for the complainant’s interview is to establish tangible statements or actions to investigate. The interview tone. During investigations, the most essential piece is the interview. All conversations should be started by letting participants know that the information obtained will be kept as confidential as possible. Proper interviews protect the privacy of individuals who are involved in the process, as much as possible. These actual interview meetings are critical to an investigation leading to facts and provide essential information for the proper outcome but they can also go horribly wrong. Interviewers must be well trained and objective. Proper interview techniques can result in a positive experience for all involved. Interviewers that take a strong, very forward approach can be perceived as intimidating and potentially create an uncomfortable environment for those involved. Interviewees that are not comfortable become defensive are less likely to share relevant information. It is recommended that interviewers balance their approach to firm but fair, avoiding potential claims of an unfair investigation which will most likely result in external counsel becoming involved. Document your findings and take action. Treat all documentation for investigations like you are going to court…even if it’s in ten years. Yes, court proceedings take a long time and even if “this was an easy one” it is better to document all investigations the same and document the events from the moment they begin. Keep detailed notes of who, what, and when it was discussed. It is also helpful to organize and review your notes upon completion to make sure they are understandable. In ten years. Once all of the information is obtained, it is important to make a decision and move on it. It should be communicated to all parties involved and swift action taken. These swift actions are essential by the company to show commitment to the decision and how seriously misconduct is taken. If training is part of the recommendation going forward, conduct that quickly as well. All of these items are important to ensure proper investigations are conducted. It is important to note that investigations are only part of the picture. For success in dealing with difficult situations and building a culture of civility in the workplace, much more is needed. We need to have a culture that supports doing the “right thing.” We must have policy in place that allows us to take action if necessary. It is also important to have a comfortable and confidential reporting system in place so employees can have open and honest discussions about what is happening in the workplace. Human Resource professionals have the ability to make a difference in handling issues internally with proper process and reporting mechanisms in place along with knowledgeable and experienced investigators. Patti Dunham, MBA, MA, SPHR, SHRM-SCP is the Director of HR Solutions at strategic HR inc. If you have any questions or would like to share your comments, contact Patti@strategicHRinc.com. One of the first problems employers encounter in determining whether or not to grant employee leave is determining the nature of the leave and the applicable statute or company leave policy. Is the leave being requested for a condition the employee is experiencing or is it a condition experienced by a spouse or family member? If the leave requested is for a medical condition experienced by anyone other than the employee, the ADA would not apply. Leave related to an illness of a family member is only available under the FMLA. If the leave requested is for the employee’s own serious health condition, the ADA and/or the FMLA may apply. Does the employee meet the eligibility requirements for protection under the FMLA and/ or the ADA? An employee qualifies for coverage under the FMLA if he/she has been employed for at least one year and has worked at least 1,250 hours during that year. FMLA protection applies when the covered employee is unable to work because of his/her own or a family member’s serious health condition or when the employee gives birth or adopts a child. A serious health condition is defined as illness, injury, impairment, or physical or mental condition that requires inpatient care or continuing treatment by a health care provider. The condition may be temporary under FMLA but must require absence from work for at least three days and a continuation of treatment. A cold or flu not requiring ongoing medical treatment would not qualify a person for leave under FMLA. Typically an illness requiring hospitalization or outpatient surgery will qualify an individual for leave under FMLA. If leave is being requested for the employee’s own serious health condition, assessment of the nature of the condition will determine which benefits are applicable and most appropriate. An employee is qualified for leave under the ADA only if the individual currently has a disability defined as a physical or medical impairment that substantially limits a major life activity. Temporary, non-chronic impairments typically do not qualify as disabilities. Examples of temporary impairments include: broken bones, pregnancy, flu, appendicitis, and non-chronic infections. The individual with a temporary impairment would not qualify for leave under ADA but may qualify for FMLA leave. A major difference between eligibility requirement s under these statutes is the extent of the impairment. The FMLA only requires that there is a serious health condition that prevents the employee from being able to perform the functions of their current job on a temporary basis. The ADA requires that the employee must have a current, chronic medical condition that substantially limits one or more major life activities on an ongoing basis. Major life activities are defined as but not limited to: walking, hearing, caring for oneself and working. If the employee is eligible for benefits under these statutes, are we required to grant leave? The FMLA requires a maximum of 12 weeks of leave for a qualifying employee that has a serious health condition that makes the person unable to perform the job. If an employee qualifies for leave, they are entitled to it. There is no undue hardship provision under FMLA. Under the ADA, unpaid leave that does not cause undue hardship may be an appropriate reasonable accommodation. An undue hardship is defined as one that would be too expensive or too disruptive to the organization’s operation. There is no maximum time period for leave required by this law. Is our organization required to reinstate a worker returning from leave to their former position? The ADA requires the employer to reinstate the employee to his or her former position unless the employer can show that it would create an undue hardship to keep the position open. If an undue hardship would exist in reinstating the employee to the original position, the employer must consider reassignment opportunities on a company wide basis. The employer is required to reassign the employee to a vacant position provided that the individual meets the minimum qualifications. The returning employee does not need to be the best candidate for the job in order to require a reassignment. The FMLA requires that an employee be reinstated to his/her original position or an equivalent position. If the employee can no longer perform the essential duties of the job, he/she may be terminated under FMLA. You are covered by ADA if…Employer coverage: The ADA covers private employers with 15 or more employees and all public employers. There are no geographic requirements for coverage. You are covered by FMLA if…Employer coverage: The FMLA covers private employers with 50 or more employees and all public employers. The FMLA applies when at least 50 of the employer’s employees are within 75 miles of the requesting employees worksite. What are the guidelines for requiring an employee to submit medical certification of the presenting illness or injury prior to granting a leave of absence? While the ADA prohibits employer inquiry into the severity of a disability and forbids medical examinations unless the examination is job related and consistent with business necessity, the FMLA allows employers to require employees to provide written certification from a health care provider in order to verify the need for leave. Under the FMLA an employee may be required to provide the employer with information regarding the nature and severity of the condition. Requests for written certifications for FMLA purposes should be narrowly tailored asking only for the information necessary to verify leave requests. Employers may ask the physician to certify that leave is necessary, the expected length and timing of leave without disclosing information regarding the medical condition or any long term prognosis. Employers should protect the confidentiality of requests for leave. Restrict information regarding employee leave to supervisors and managers. Leave requests should not be discussed with other employees. What happens if the employee qualifies for leave under both statutes? A medical condition may qualify an employee for coverage under both the ADA and FMLA if the condition is a disability under ADA and a serious health condition under the FMLA. If a person is qualified for leave under both the ADA and the FMLA, the employer must analyze the situation and provide the leave under the statute that provides the greatest benefit to the employee. An employee who qualifies for benefits under both the FMLA and ADA may request an extension of FMLA leave as a reasonable accommodation. The employer who has provided the employee with 12 weeks of leave under FMLA may find it difficult to prove that an extension of leave would create an undue hardship. An employee who has cancer and applies for leave under FMLA to receive treatment may also request additional time off as an accommodation under ADA. The employer would be required to comply with this request only if it did not present an undue hardship. However, an employee who requests time off for the removal of an appendix would not qualify for coverage under ADA because the condition is not one that substantially limits a major life activity. A person having a record of an impairment qualified as a disability may be entitled to coverage under the ADA but would not necessarily be entitled to FMLA coverage. If there is no current serious health condition that prevents the employee from working, the employee is not entitled to leave under FMLA. An employee who has a relationship with a disabled individual may be eligible for leave under FMLA but not ADA. Ohio Rehabilitation Services Commission Sourcebook on the Americans with Disabilities Act, (1997) Compiled and edited by Dave Cameron and Trudy Sharp. Enforceable Guidance: Reasonable Accommodation and Undue Hardship under the ADA. (10/21/99) by the EEOC. Job Accommodation Network, 1-800-ADA-WORK, janweb.icdi.wvu.edu. 1-800-ADA-OHIO provides resource materials, telephone technical assistance and information on educational workshops. Ohio Rehabilitation Services Commission Employer Services provides information and assistance in hiring qualified people with disabilities. Contact manager Ben Green at 1-800- 282-4536. “Where can I find information about…?? ?” This is probably the most frequent question both of us receive from HR practitioners. Therefore, this article is dedicated to sharing with you as many resources as we can think of that you may find helpful now or in the future. This book describes how a high-trust organization can achieve competitive advantage. Techniques are provided to move the culture away from one in which managers rule by fear. This book addresses concrete ways to assess an organization’s overall level of competence in relation to strategic objectives. The author shares methods to ensure that employees and managers are working at full capacity to achieve the organization’s mission. These are the “50-minute” series that provide content, worksheets, exercises, case studies, and more on any topic you could imagine ranging from multi-rater feedback to performance management to retention to selecting and working with consultants. For a complete list, vist their website here. This totally irreverent book will shake up traditional management paradigms. The authors describe characteristics and approaches, which are common to all great managers. The approaches usually fly in the face of conventional wisdom. The book is based on two Gallup studies that spanned 25 years. This unique book tells the leadership story as a fable, describing a workplace where employees have energy, passion, and joy. The authors provide some common-sense ideas to help people really get connected to their work, coworkers, and customers. This is the ultimate tool to help you strategically align your human resources function with the business. Ulrich provides many tools and case studies throughout the entire book to help you deliver a value-added human resources function. HR How-to…Employee Retention by Jennifer Carsen, J.D. This is a wonderful, easy to read book with TONS of ideas and suggestions for retention, recruitment, work/life balance, employee opinion surveys, and much much more. If you haven’t read this book, you must. It’s a quick and easy way to help your organization effectively deal with change in a productive and successful manner. This account of IBM’s strategy for becoming a real player in the world of technology in the 1990’s is excellent. The author describes how IBM went from being a comfortable but inflexible giant to a company with organizational agility and vision. This site provides ideas and tools for creating workplaces that truly bring out the best in people. If you haven’t seen Tom Terez’s work, you need to check out his website. There are many free tools and resources to help you with your workplace. Plus, his monthly newsletter is wonderful. This site will help you in identifying foreseeable risks, preparing for threats and hazards, and responding if an incident occurs. Quick, customized, answers to your human resource management questions in seven key areas: Management Practices, HR Audits/Startups, HR Development, Managing Diversity, Compensation, Executive Coaching, and Employee Relations. This is a fee service but your first question is FREE. On this website, you will find articles and resources on leadership, strategy and innovation, Internet and technology, education and resources, careers, human resources, marketing and branding, and sales and customer service. This is a very comprehensive site containing information, resources, products, and services to help you with your human resources issues in eight areas: Compensation and Benefits, HR Information Systems, HR Management, Labor Relations, Legal, Organizational Development, Staffing, and Training and Development. This site provides you with a magnitude of links to other human resources websites. This will become an excellent employment law resource for you with quick answers to your employment law and management questions as well as news, laws, advice, and tools. The HRM Guide Network includes free articles and features on key human resources issues, research, and books. This site provides free access to hundreds of informative articles and useful tools. Plus, if you select to be a paid subscriber, there are even more resources available to you. This is a virtual human resources department providing a number of online resources including news and toolkits for staffing, legal compliance, training and performance, benefits and compensation, and safety. This website contains articles and resources on business management. They also offer many free email subscriptions that include excellent tips and resources sent directly to you if you subscribe. KnowledgePoint is a provider of various software and online human resources products including performance management, job descriptions, policies, and people management. Do you need a business tool? This site provides sample business tools to help you complete specific business tasks related to human resources (i.e. performance reviews), marketing, legal, finance, training, and more. Plus, you can submit your tools and earn a profit when someone buys them. Benefits Link provides employee benefits compliance information and tools. This is another great employee benefits site for news, links, and more. This site offers many salary surveys, software, and other products. Also, if you select “free analyst resources” on the top navigation bar, you’ll be taken to page of free information including links to MANY other free and paid “salary sources and surveys”. This website is a summarization of the annual survey by the US Department of Labor Bureau of Labor Statistics including data on local, regional, and national occupational earnings; quarterly changes in employer costs; annual employer cost levels; and incidence and provisions of employee benefits. This website provides compensation information including the ability to request the average salary for a title in a specific location. This is another good site for salary data. Some of the information is provided for free, but you can subscribe to get even more data. This is the website for the professional association for compensation, benefits, and total rewards. In addition to membership, this site provides links, resources, and news related to compensation. This is the website for the professional association providing resources on workplace learning and performance issues including information, research, conferences, publications and more. This is an excellent resource for human resources related products, suppliers, and news including free newsletters, free trade publications, and online training. This is a web-based system that you can use to assist you with the distribution, administration, and analysis of professional assessments, tests, and surveys. This site provides research, educational events, publications, and information about telework. Plus, the organization assists businesses and the public in optimizing the advantages of working remotely. This is a compliance resource center that includes publications and reports on various legislative issues. This is a free legal resource that contains information on federal and state laws including news, articles, forms, policies, an employment lawyer directory, and discussion forums. On this site, you will find management law training programs and online policies and checklists to help both employers and employees avoid costly lawsuits. This site provides free information about the Americans with Disabilities Act (ADA) including job accommodations and the employability of people with disabilities. This is a collection of state legal materials for the fifty states, District of Columbia, and Puerto Rico including constitutions, statutes, regulations, and judicial opinions. This site provides pre-employment background checks for large and small companies in the U.S. and Canada including verification of employment, education, references, professional licenses, driving records, drug screening, credit history, civil history, criminal background checks and more. This site contains a job posting board and resume bank. This site contains a job posting board and resume bank for technical positions. This site contains a job posting board and resume bank for human resources positions. This site contains multiple free resources to help you with recruitment. This site provides a comprehensive list of job posting boards and resume banks plus multiple other resources to help you in recruiting. This is a free directory of executive search firms around the world specializing in over 50 particular areas of interest, including biotechnology, legal, healthcare, technology, marketing and telecommunications. As we learn everyday, the resources available online and in print are growing and changing daily. Hopefully, this list will give you a start to some of the available resources. You may want to save a copy of this list and continue adding to it as you identify more resources. Robin Throckmorton, M. A., SPHR, a Senior Human Resources Management Consultant is President of Strategic Human Resources, Inc. (www.strategicHRinc.com). Dr. Linda Gravett, Ph.D., SPHR is with Gravett & Associates (www.Gravett.com). If you have any questions or wish to share your comments, you can contact Robin at Robin@strategicHRinc.com. The economy may be resulting in a lot of downsizing for most organizations but the exception to that rule appears to be with employee plaintiff attorneys. The economy, change in political administration, and changes in legislation all appear to be adding fuel to the fire in terms of employment litigation. Now is the time for employers to be(a)ware and ensure that the employment actions they take, even more than before, are well documented and defendable. Many experts anticipate this 2008 trend will continue into 2009 and beyond and that the number of lawsuits as well as the awards associated with them will continue to rise. Why such an increase? Well, there is no doubt that our society as a whole has become somewhat more litigious, however this year gives us increased risks. The most notable is the economic downturn. As employers have to make many more tough decisions – restructuring, hiring ‘only the best’ when filling positions, reducing costs through benefit program changes, etc. employers become more at risk and employees start to ask a lot more questions as concerns about employment impact everyone. In addition to the economic concerns, the government has also expanded the scope of some employment related legislation – specifically the Americans with Disabilities Act (ADA) and Family Medical Leave Act (FMLA). These changes will no doubt result in challenges to the courts as employees and employers “test” what these expansions and changes in the legislation mean. Finally, there is always a potential increase in the amount of litigation as the result of an administration change. In the past there has been an increase in employment litigation after such a change and it is expected that the next few years will play out the same way as many lawsuits are filed to test out government regulation of workplace issues under the new Obama administration. As a result of these increased threats, employers should arm themselves and their management staff to protect themselves. What can employers do? Keep it simple – this is the time to go back to the basics when it comes to employment. A few easy actions may be the difference in whether or not you become part of the statistics. Train supervisors and managers. These individuals are our first-line of defense (and many times our biggest legal threat) when it comes to employees’ perception of company policies, procedures, and decisions. Be sure they are aware of basic discrimination laws and assist them with increased communication and employee relation skills so they are able to respectfully support company decisions and communicate with employees regarding their concerns or issues. Although Human Resources would always like to be the ones to address employee concerns, our front line managers and supervisors are doing it on a daily basis whether they want to be or not and they should be properly trained on how to handle employee concerns. Ensure those involved in the employment process are clearly aware of what they can and cannot do from a legal perspective. Those involved should know and document the process used when restructuring or selecting employees for layoff and then use it – consistently. A clear legally defendable (non-discriminatory) reason when selecting “who goes” is the most important aspect of restructuring. In addition, those involved should be guided by Human Resources to ensure an appropriate message is being delivered when HR isn’t delivering it. Maintain a meticulous hiring process. Managers involved in hiring should be even more aware of appropriate interview questions during the employment process to avoid discrimination claims in hiring. With so many people looking for employment, it will be important for hiring managers to look carefully over applications and watch for inflated or fraudulent credentials and to do their homework before selecting candidates. Maintain good documentation. We all know that documentation is essential for a good legal defense but also remember it can hurt as well. Train your staff on what good documentation looks like and what to avoid. Remind them that everything is subject to review in a lawsuit – employee warnings, performance evaluations, and even those simple notes we write down on a sticky note and throw in their file. Be(A)ware of what you are putting down into writing and make sure it is objective and defendable. Treat employees the way you would like to be treated…the golden rule still stands in employment. Think about how you would like to be treated during these tough times when decisions are so difficult. Treat your employees with dignity and respect at all times – provide notice of layoff if it is reasonable, provide some type of outplacement if you are able. Finally, remember to listen to your employees. Employees are more likely to file a claim against employers when they feel like they are ignored or that their concerns are not addressed. Although your message may not always be what they want to hear – allow them to be heard and feel a part of the process. The present downturn in the economy is likely to continue to fuel employment related litigation as well as many other factors. Financial risks of such litigation can be huge and the need to protect ourselves, our managers, and our companies is more important than ever. It is time to go back to the basics as they are still the most valuable steps in helping organizations stay out of court. Employers should BE(a)WARE and arm themselves with these simple means of protection. Patti Dunham is a Sr. Human Resources Consultant with Strategic Human Resources, Inc. (www.strategicHRinc.com). If you have any questions or would like to share your comments about the article, you may contact Patti at Patti@strategicHRinc.com.